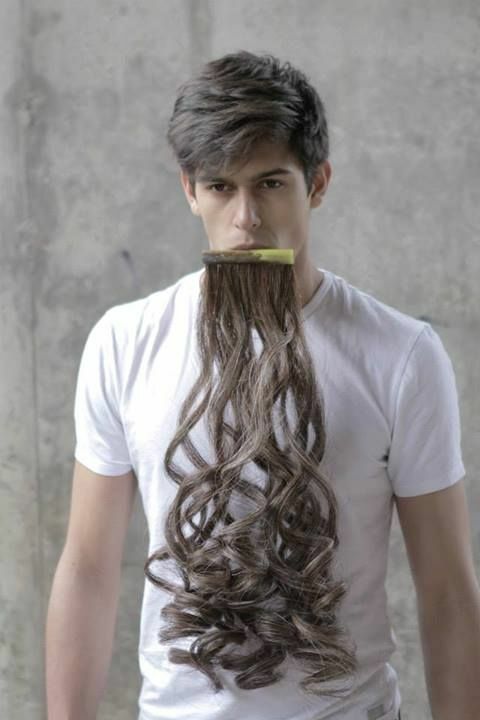 mais … faut pas se faire de cheveux dans la vie !! 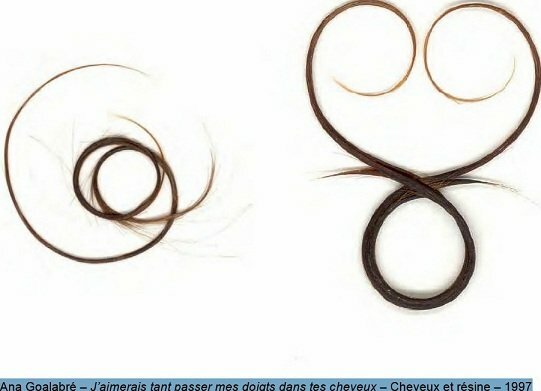 ici, on est à un poil du bijou ….. si ce ne sont pas des bijoux au poil !! 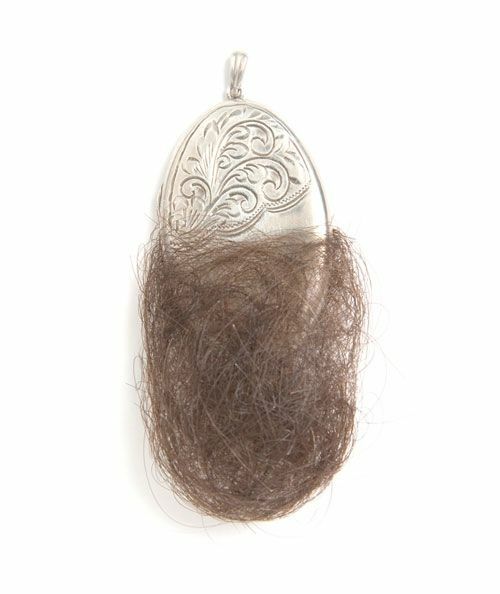 Au-delà du dégoût que peut susciter l’emploi d’un tel matériau (à la « grande époque » du bijou en cheveux, à l’époque Victorienne, mode lancée par la très romantique Reine Victoria, cet engouement eu un grand succès dans les pays anglo-saxons mais suscita du dégoût et un certain rejet en France et dans le reste de l’Europe), ce n’est pas étonnant, à mon sens, qu’il suscite tant d’attrait parmi la jeune génération de bijoutiers : à force d’interroger le rapport du bijou au corps, le corps s’incorpore petit à petit au bijou lui-même. 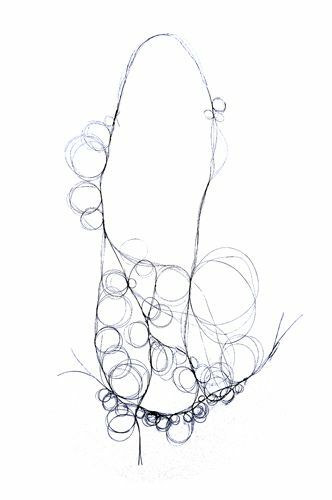 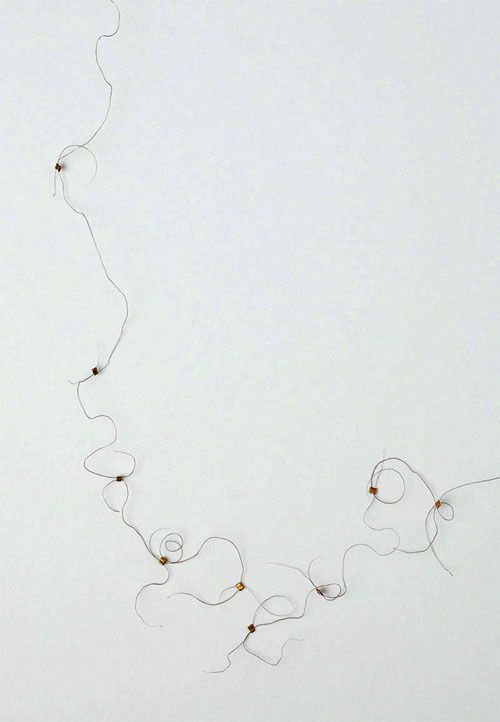 Each line in these drawings by Melanie Bilenker are made using strands of the artist’s own hair! 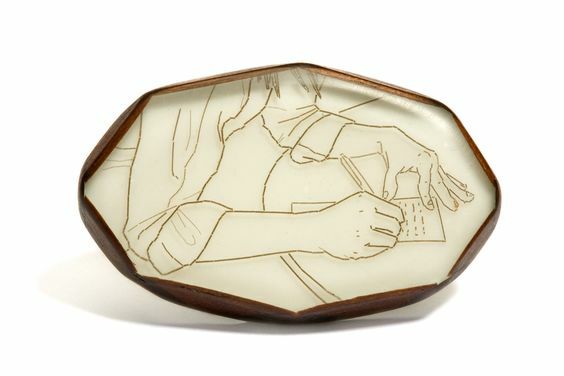 The delicate drawings depict quiet scenes of domestic life which are sealed in Victorian-inspired brooches and rings. 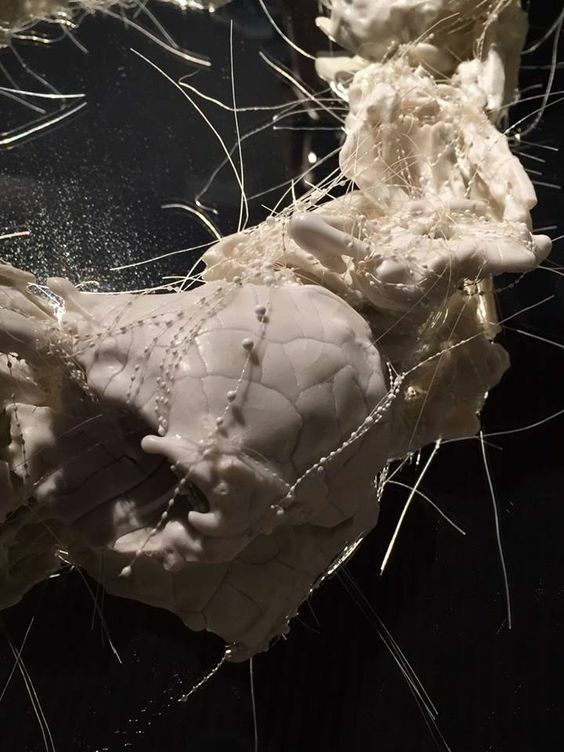 Katie Wightman | Exploring the fragility of the female form. 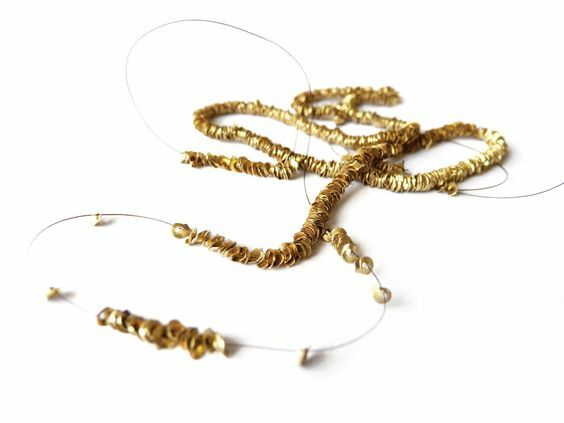 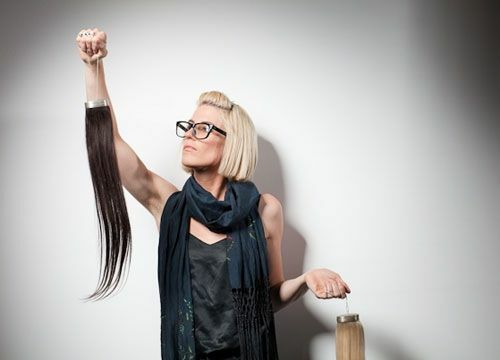 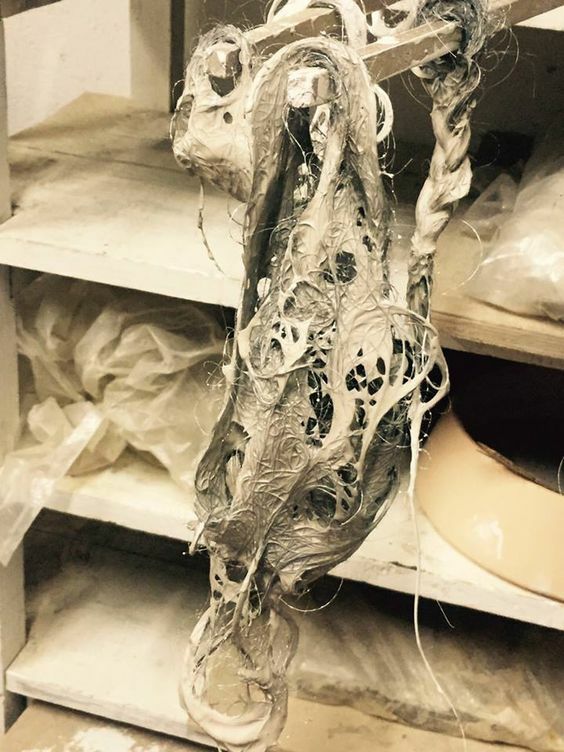 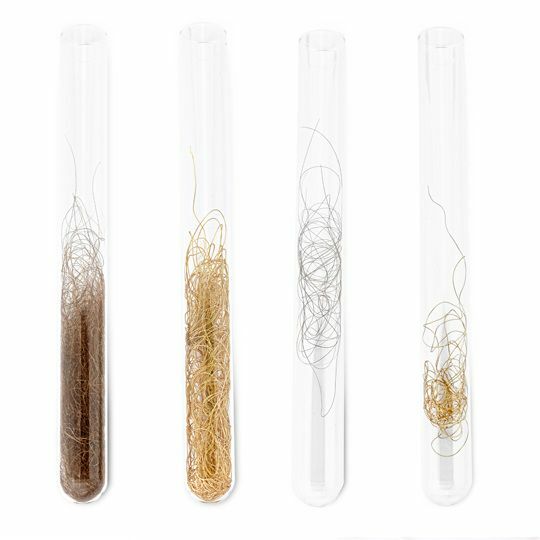 Experiencing hair loss as the result of illness, Katie uses precious metals and human hair to release the stigma and create pieces with a new found sense of beauty and power. 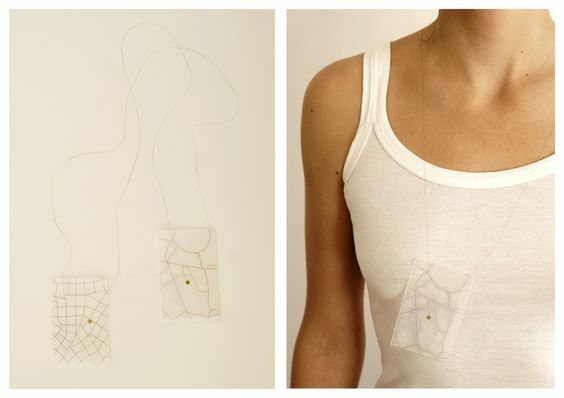 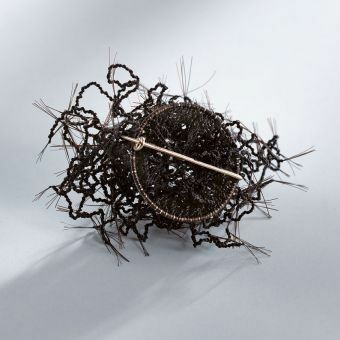 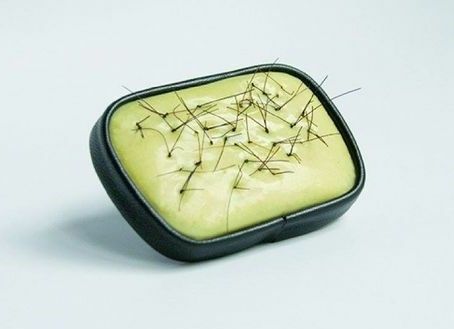 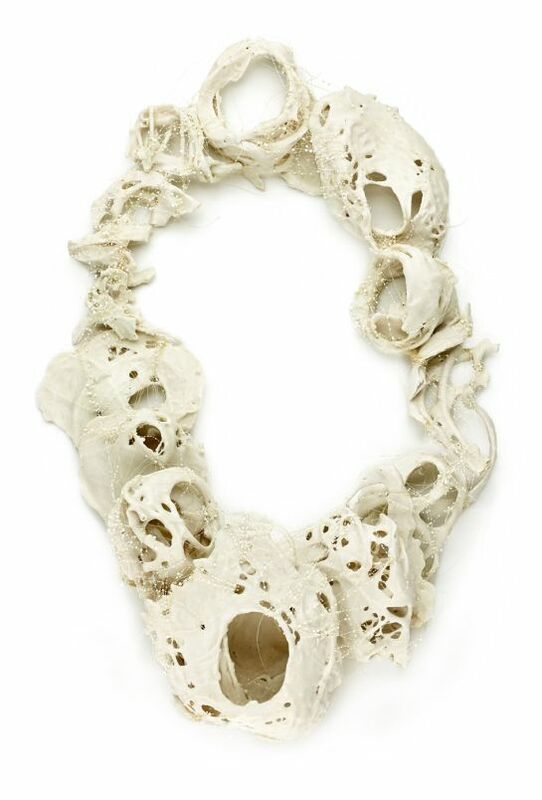 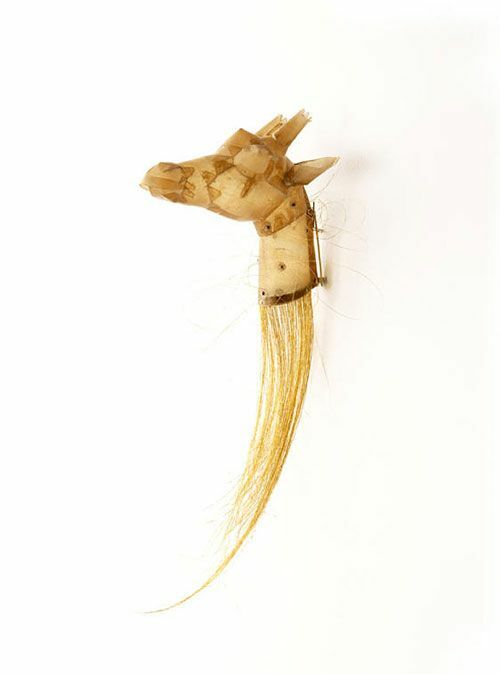 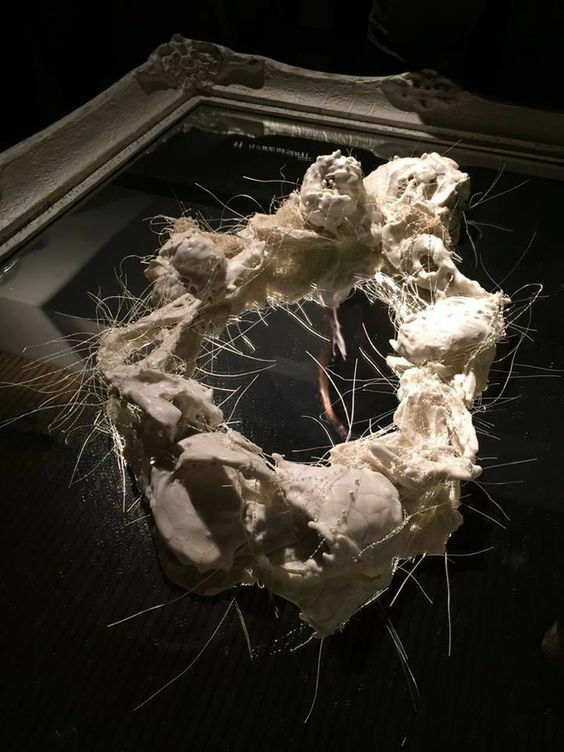 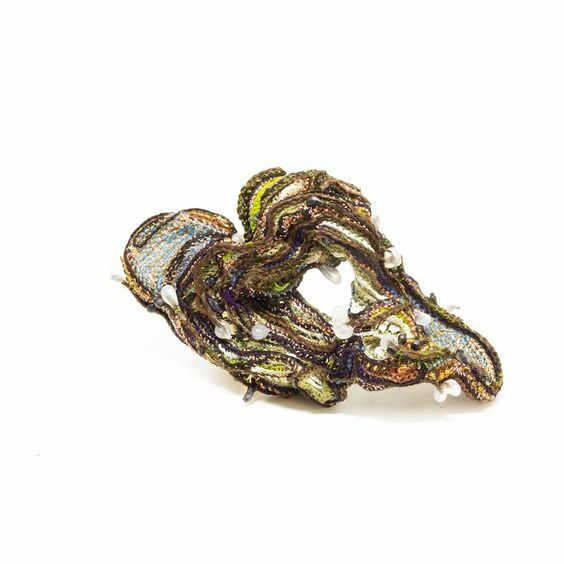 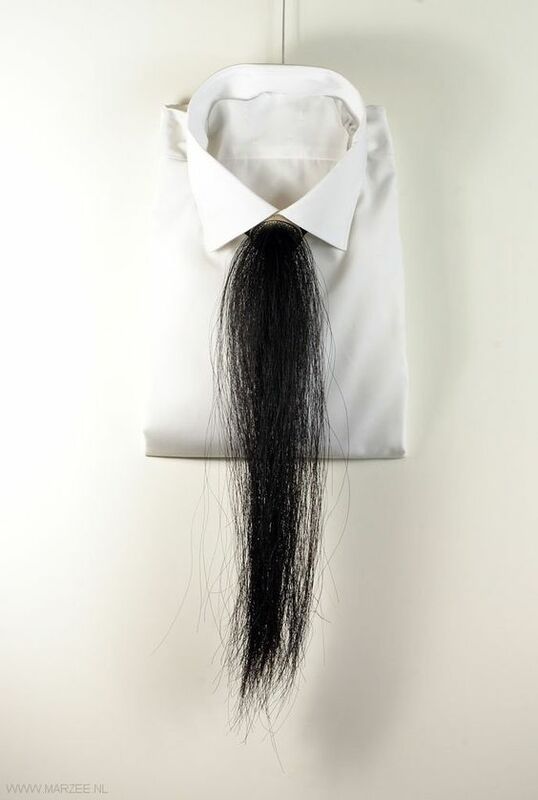 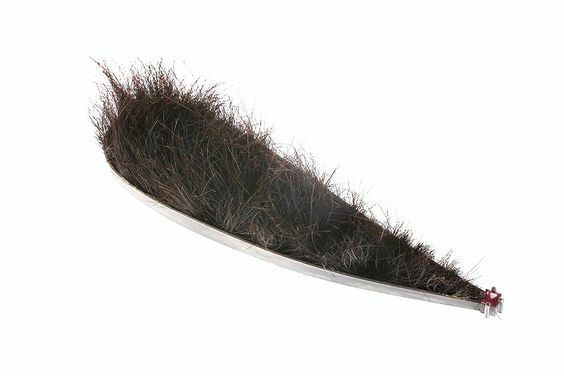 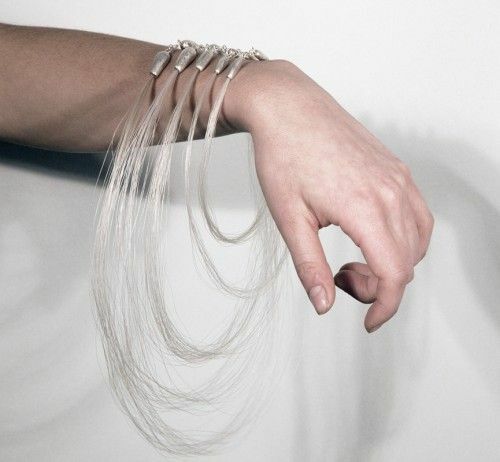 Polly van der Glas (AU) - Since 2005 my work has centered on materials that were once attached to our bodies: human hair, teeth and fingernails. 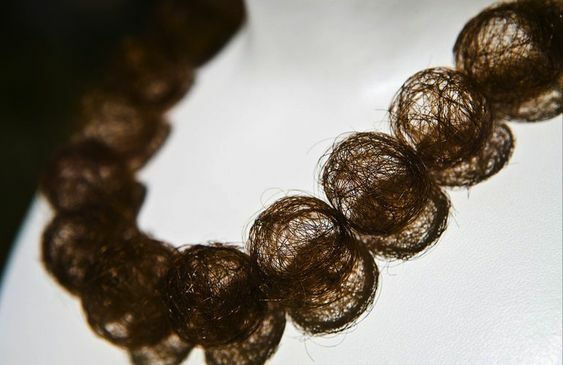 These materials were at one time part of an intimate, elaborate maintenance ritual. 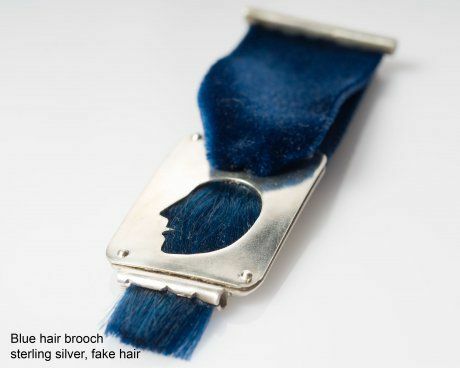 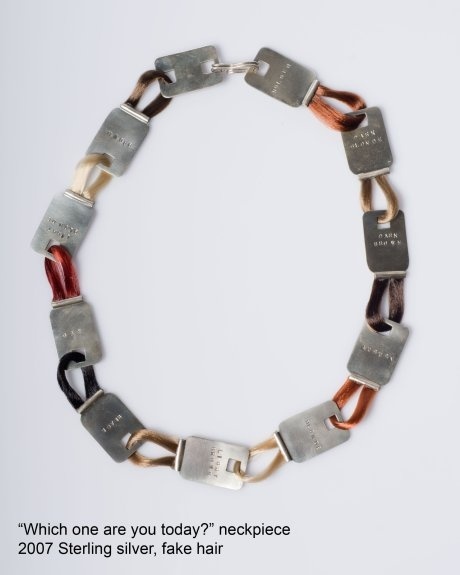 Amy Tavern - »Forget Me Not » sterling silver, spray paint, picture of my father, my father’s hair – detail Ana Goalabré – J’aimerais tant passer mes doigts dans tes cheveux – Cheveux et résine – 1997 tous droits réservés. 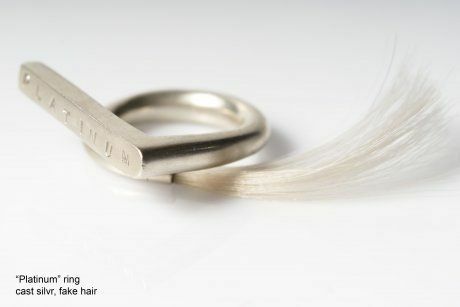 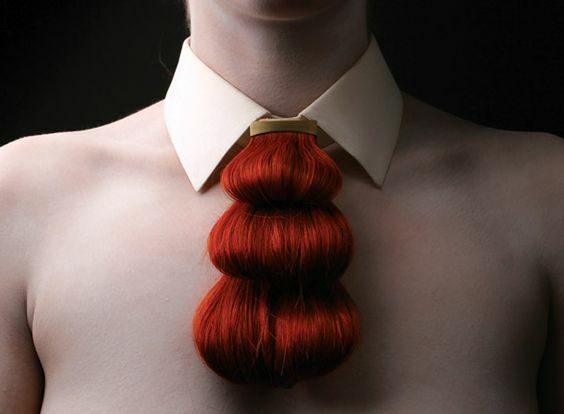 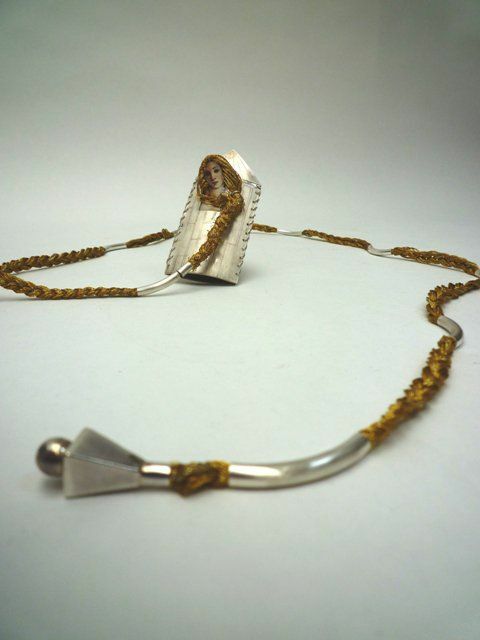 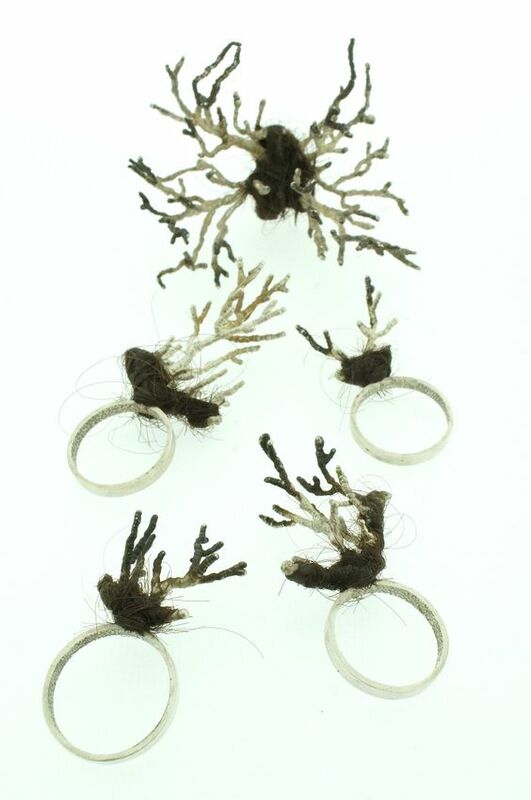 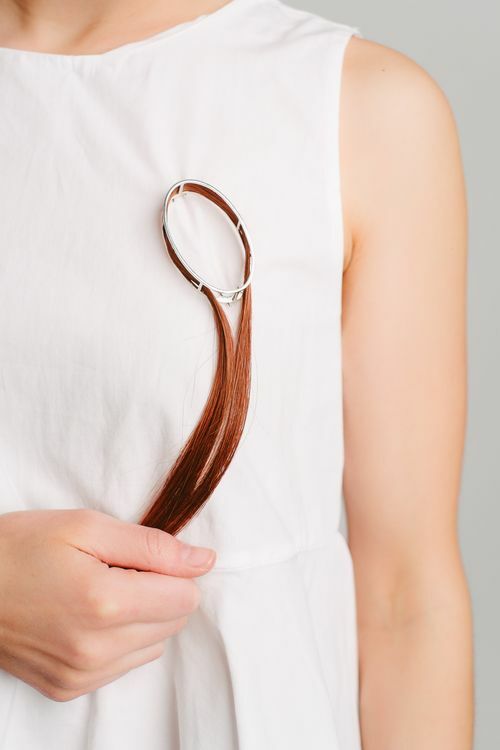 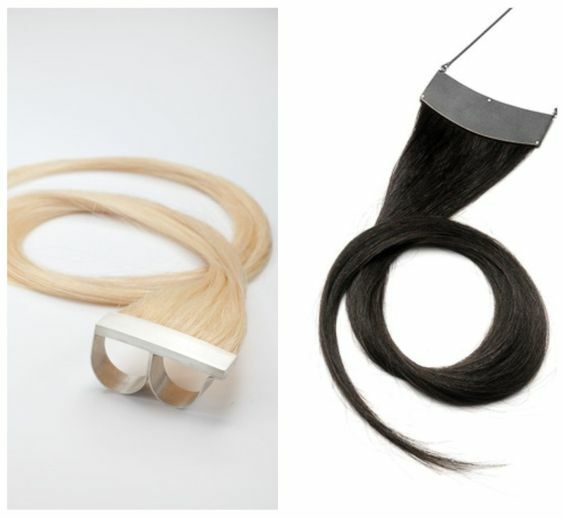 Maria Ignacia Walker – MFA JEWELLERY AND BODY ORNAMENTS Alchimia contemporary jewellerySchool 2013 – 2015 – A simple fact of life that María Ignacia Walker obsesses over: The shedding of hair. 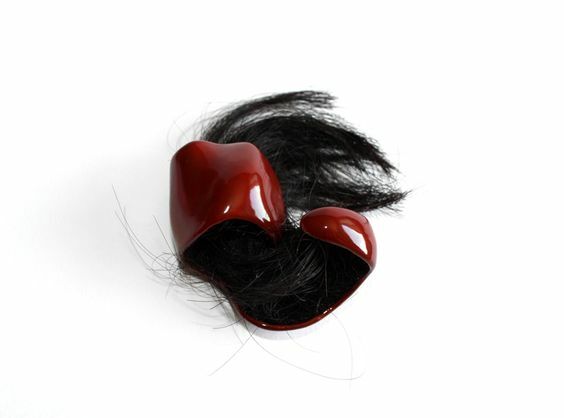 The obsession – losing them, collecting them, ordering them, measuring them and archiving them. 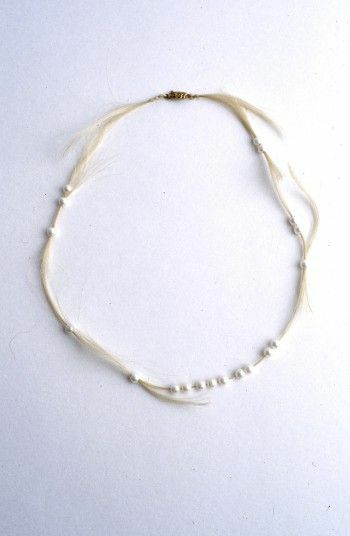 The desire – to preserve these losses – It gives rise to “transcendieron”. 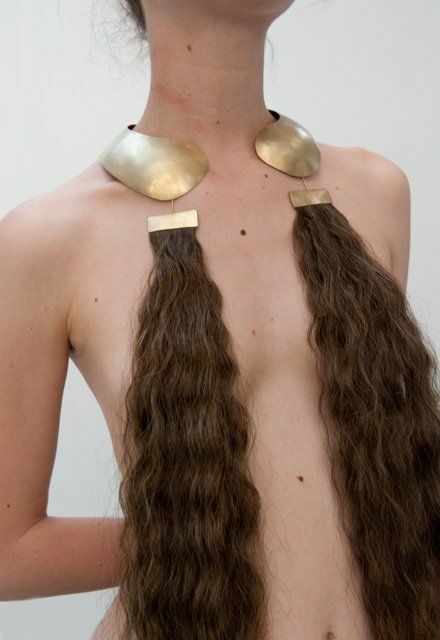 The discourse is not about beauty and it is not about sensuality, not even about cultural symbols that hair carries. 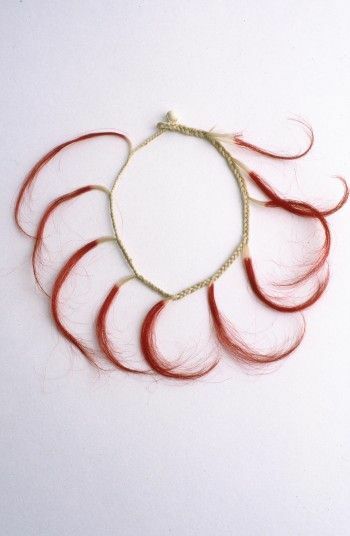 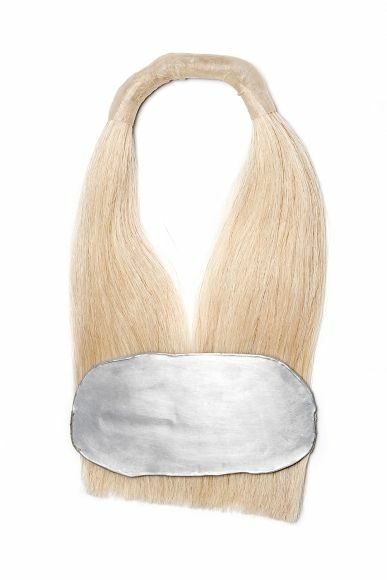 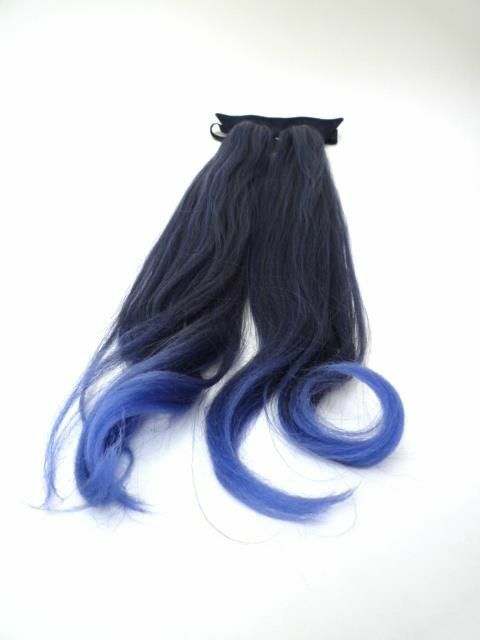 How much hair do you lose constantly, everyday ? 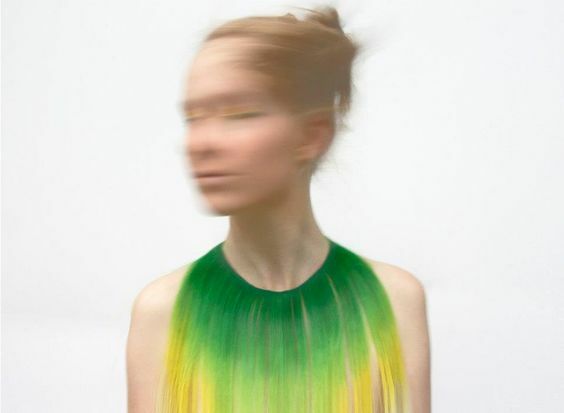 How many pieces grow out of your body and die every moment ? 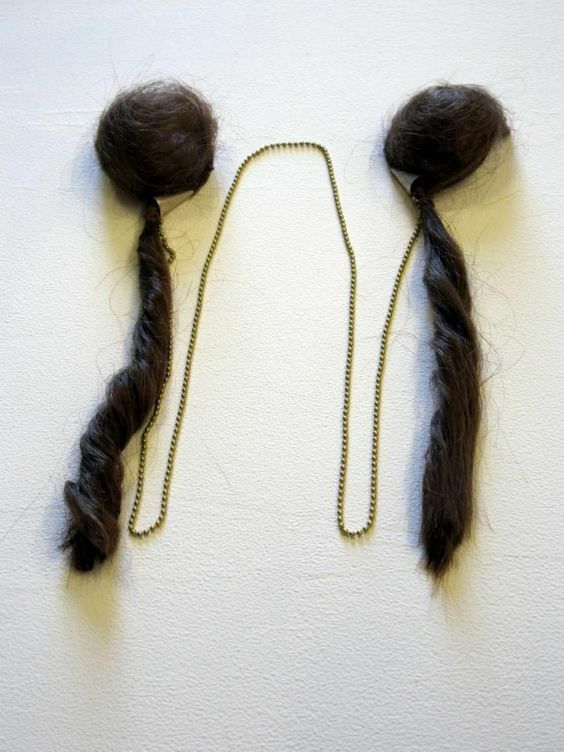 “The transcendents” are a homage to the moments when you lose your hair. 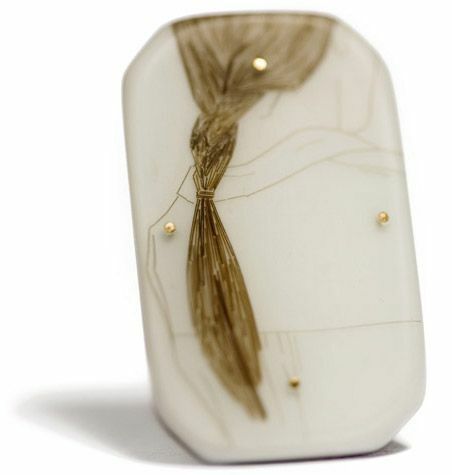 Captured and immortalized in the fragility of the porcelain, they give perpetuity and freeze all their expressions in the moment of their detachment from the body. 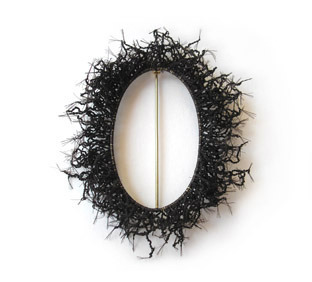 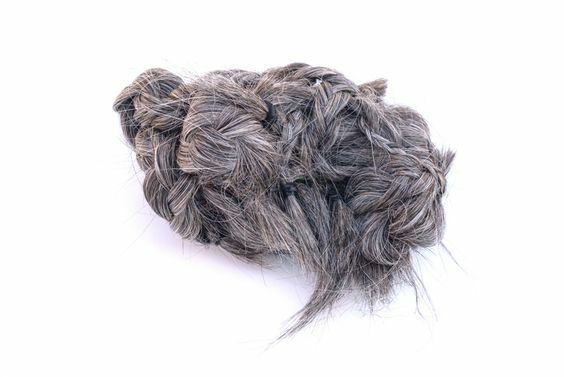 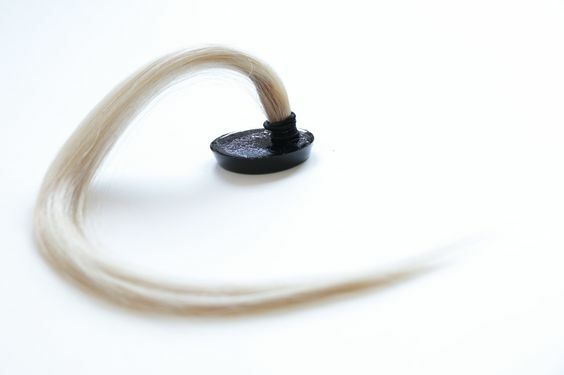 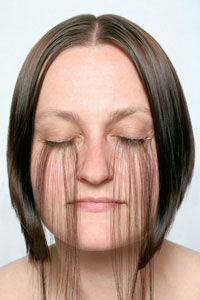 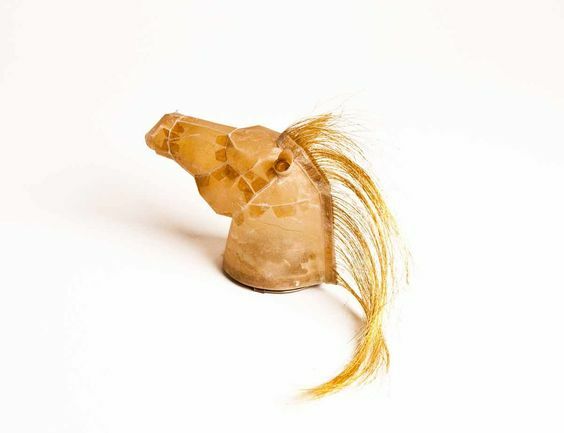 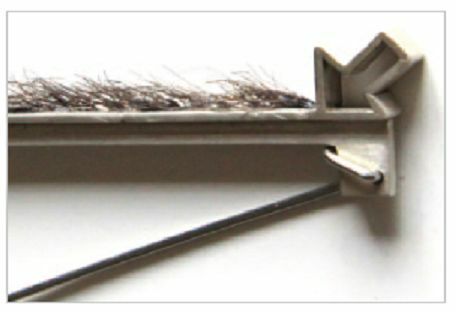 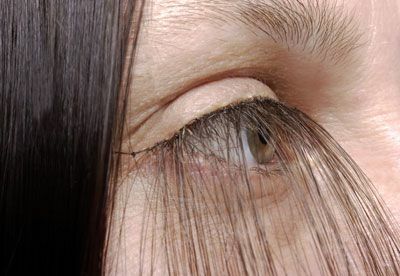 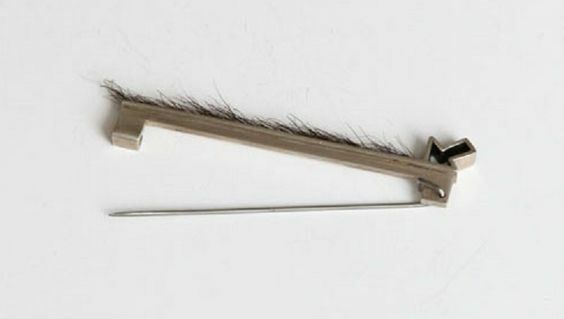 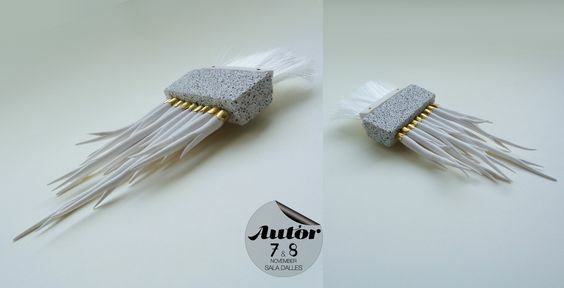 With a threading method, the artist uses horsehair as connectors. 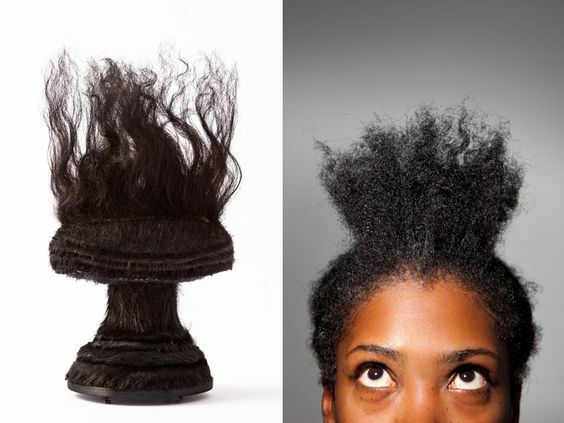 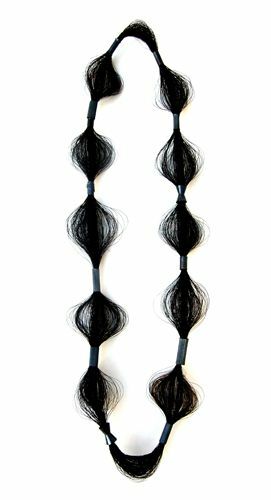 They show the lightness, energy and freedom, while demonstrating the real, natural movement of the hair. 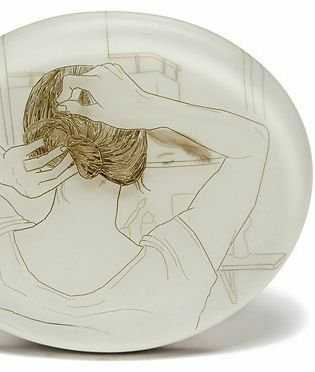 Together with the act of keeping and protecting the hair in a porcelain form, they are given another life that keeps them present through their absence. 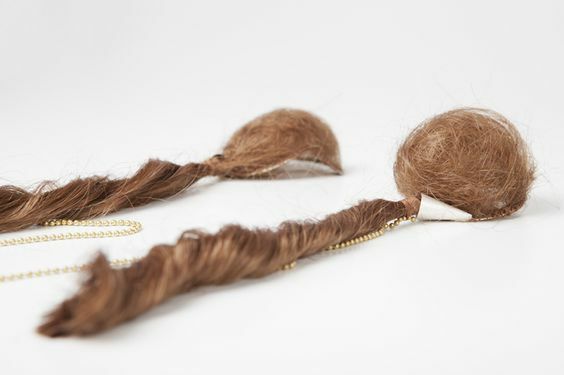 Raluca Buzura’s collection, “Hairy Tales” comes out of an imaginary world and it’s a combination of new materials such as polymeric rubber, pumice, artificial leather and artificial hair. 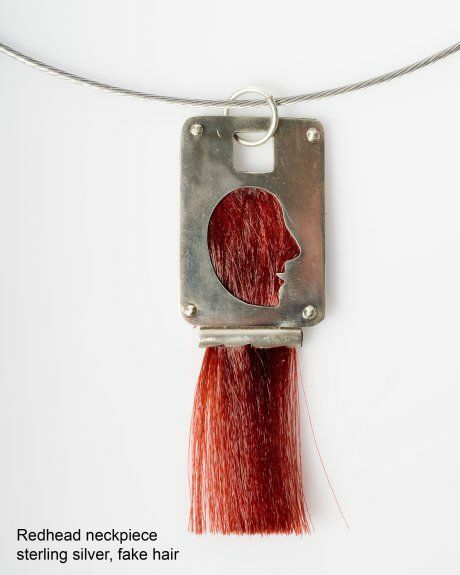 Kerry Howley Attraction/Aversion is a material exploration of how people can feel seemingly opposing emotional responses simultaneously. 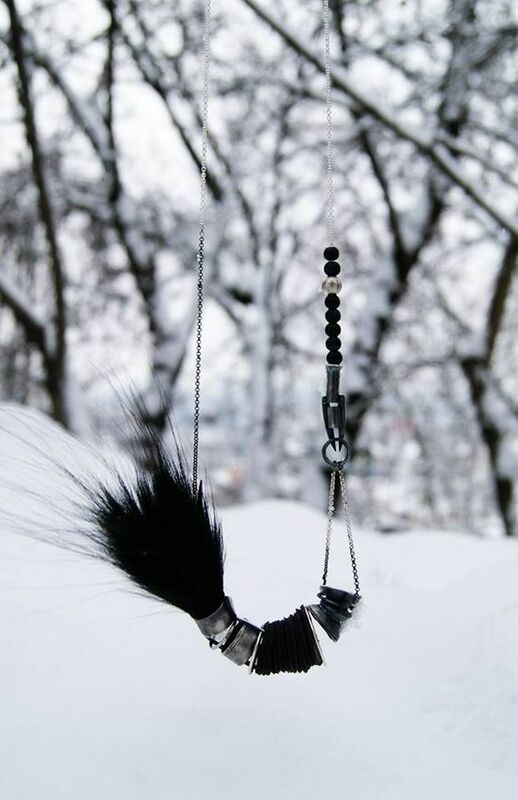 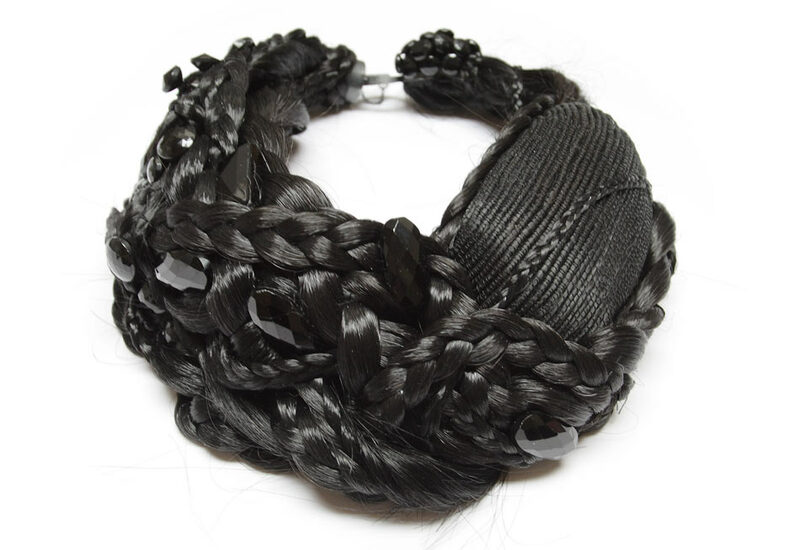 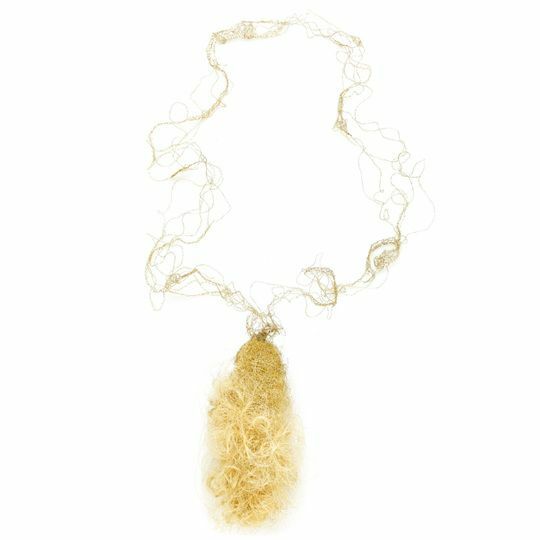 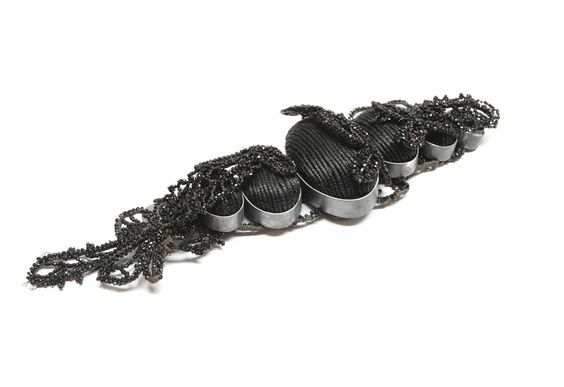 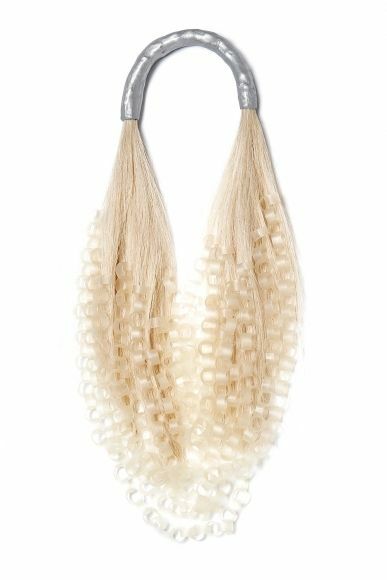 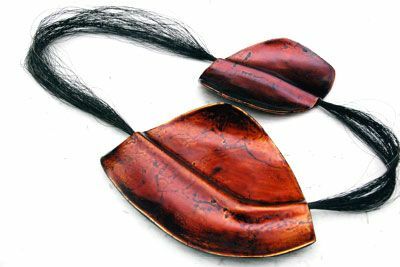 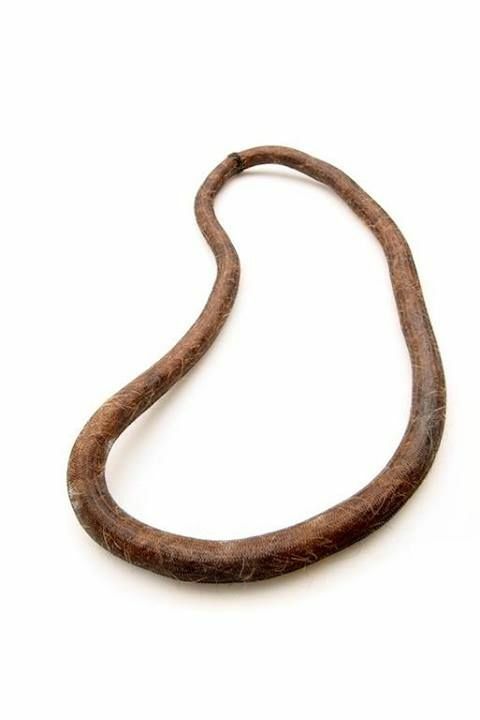 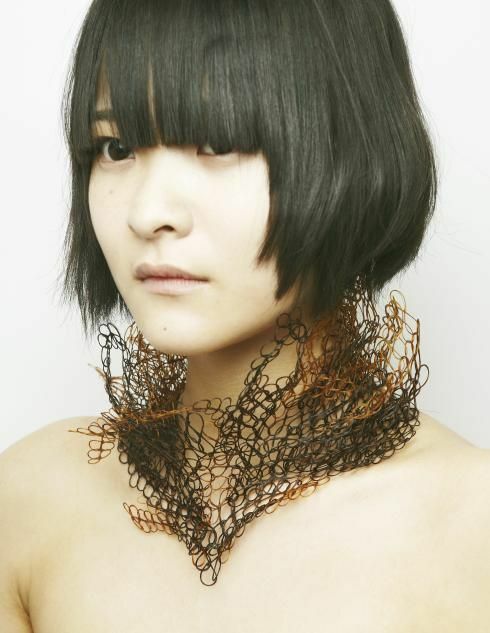 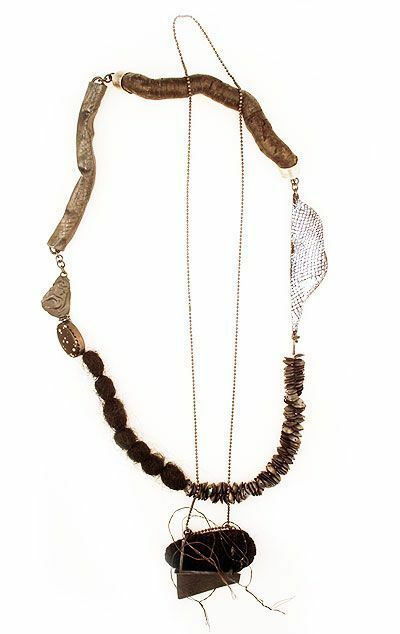 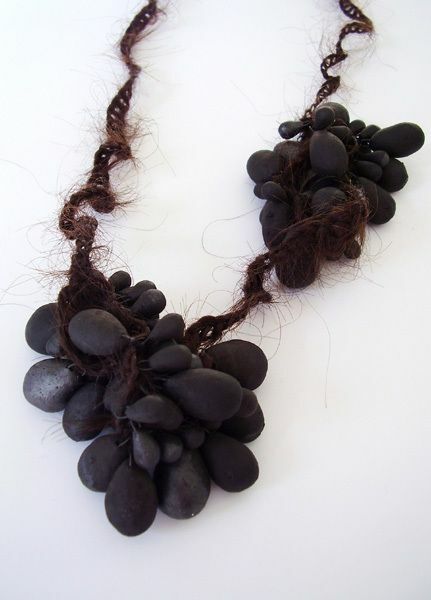 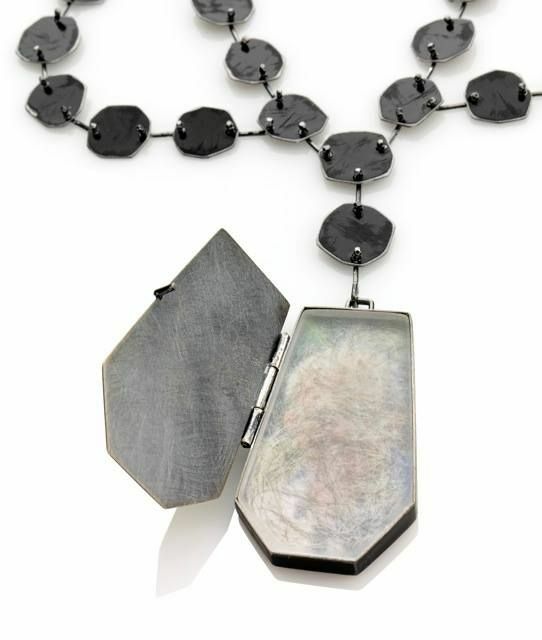 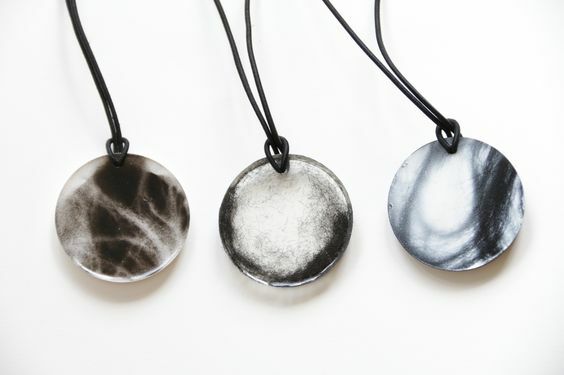 The necklaces are made of human hair, a familiar material that we take pride in. 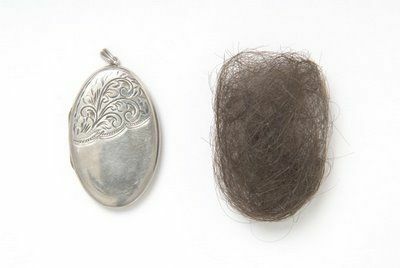 However once off of the body hair becomes an innate source of aversion.